Off-spinner James Tredwell has announced his retirement. The 36-year-old former England representative broke the news to his Kent team mates on Monday. 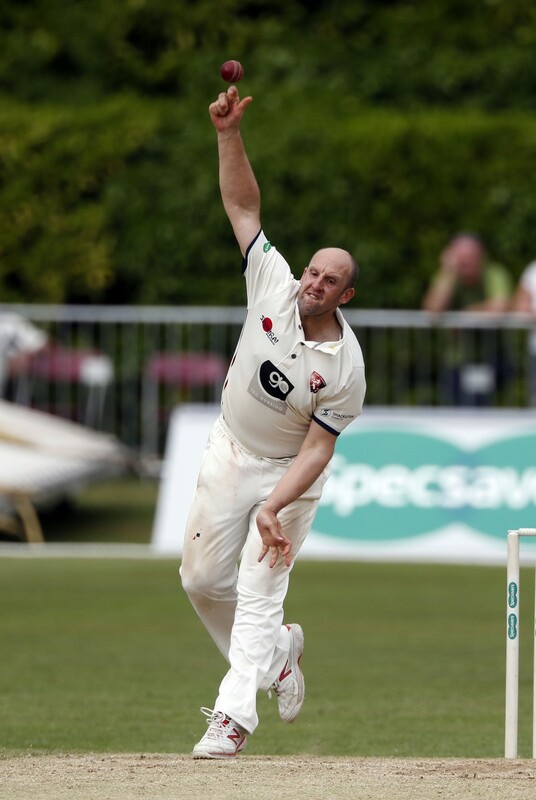 Tredwell has not featured at first team level this season due to injury and had keyhole surgery on a chronic shoulder problem during the summer. The Ashford-born bowler made his Kent debut in 2000 and went on to make 613 senior appearances for the county, taking 830 wickets. Tredwell was awarded his cap in 2007 and was a member of the side that won the Twenty20 Cup in the same year and was also in the County Championship Division Two winning side of 2009. He represented England in all three forms of the game, playing two Tests, 45 ODI’s and 17 T20’s. The unassuming Tredwell, who captained Kent for the 2013 season, said: “I feel very grateful to have been able to represent both my county and my country during my career. “I have had some great times on and off the cricket field but now it’s time for both me and the club to move on. “I am looking forward to giving something back to the game I love, whether it be as an umpire or coach – I will see where each role takes me and I am excited by the challenge ahead. Paul Downton, Director of Cricket at Kent said: “James has made an outstanding contribution to Kent in all formats throughout an incredibly successful career and I would like to congratulate him on all that he has achieved. “His commitment and loyalty to the County is admired by team mates and supporters alike – he is also hugely respected by his fellow professionals.